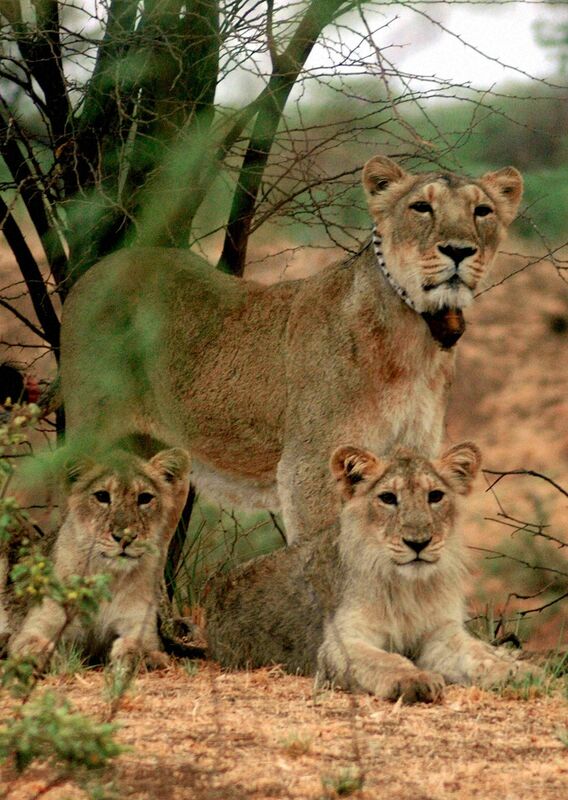 The lions died after drowning in the stream of Shetrunji river which flows alongside the Gir wildlife sanctuary. AHMEDABAD: The death toll of Asiatic lions following heavy rains has climbed to nine, with the recovery of four more carcasses from Amreli district of Gujarat on Saturday, officials said. "A team of forest department today recovered carcasses of 4-year-old lioness and lion in Ingorala village in Liliya tehsil of the district," Deputy Conservator of Forest M R Gujjar in Amreli district told PTI. "We had also found a carcass of a 5-year-old lion from Pipardi village near Kankach village of Liliya tehsil," he said. The officer said the lions died after drowning in the stream of Shetrunji river which flows alongside the Gir wildlife sanctuary. "One more lion carcass was found from Pingli village in Palitana tenhsil of Bhavnagar district," Bhavnagar Deputy Conservator of Forest G S Singh told PTI. According to Gujjar, the forest department has also recovered carcasses of one endangered species blackbuck, two spotted deers and also of about 70 blue bulls. Earlier five carcasses, including three in Amreli and two in Bhavnagar districts, of Asiatic lions were found, officials said. Heavy rains caused a flood like situation in Gujarat's Saurashtra, which also included forest areas of Amreli, following which wild animals have died.